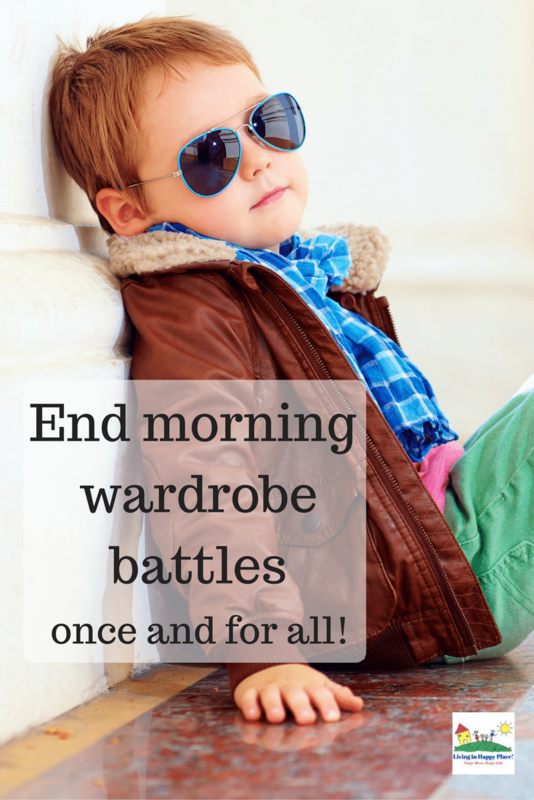 End the morning wardrobe battle and get kids dressed for school the easy way! 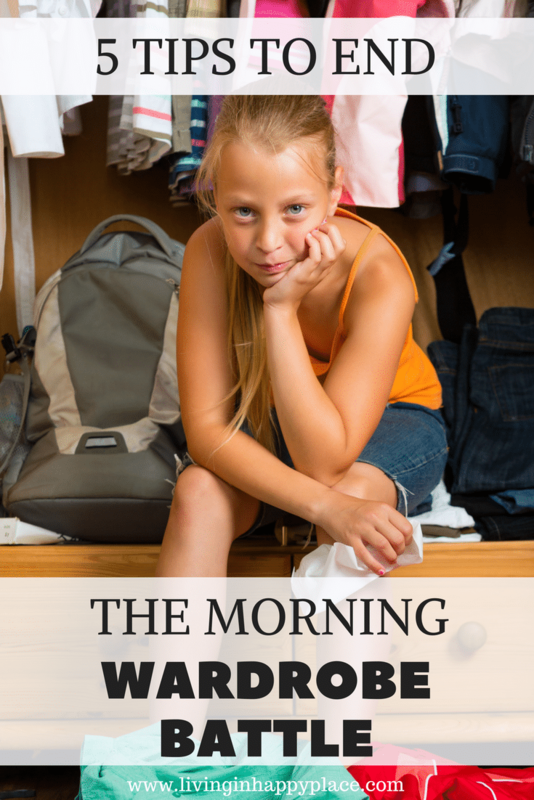 Sneak preview: Use these 5 tips to win the morning wardrobe battle with your kids and get out the door on time. 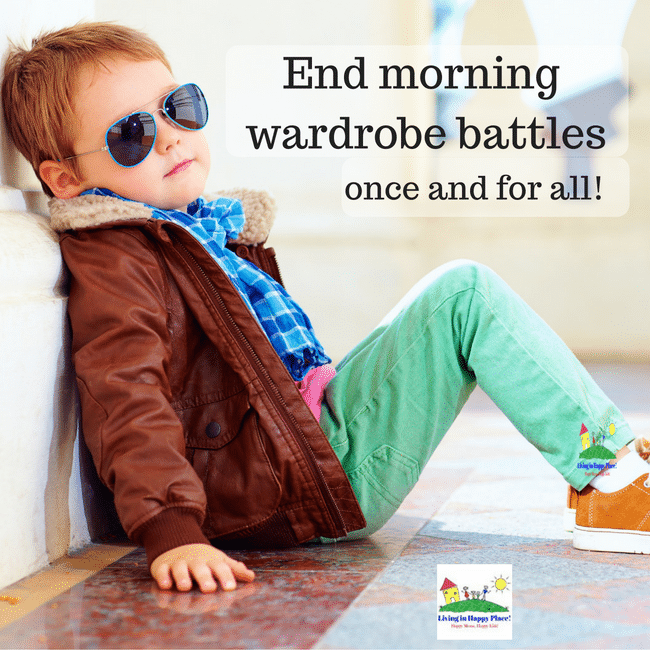 Do you have a morning wardrobe battle in your house? Is getting your kids dressed for school a daily struggle? Do you argue with your child about what he/she is wearing? Do you have to continuously tell the kids to pick out their school clothes or even yell “get dressed the bus is coming”! I’m not sure what it is about school clothes that kids hate, but “getting the kids to get dressed and get out the door” is a complaint I hear often from moms. If you come to my own house in the morning, you used to hear my oldest throwing a fit because she has “nothing to wear” and all her clothes are ugly”. I bet you can guess that her closet is full. 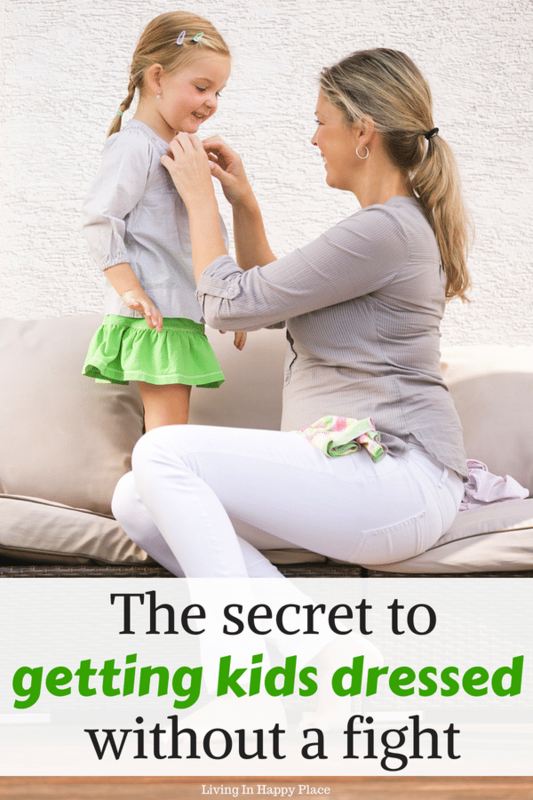 If you have trouble getting your kids dressed and out the door, there is help! 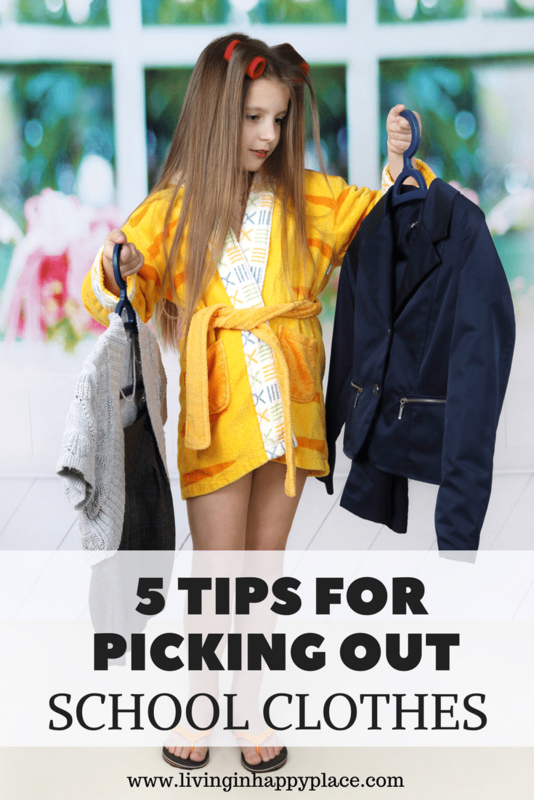 I want to share 5 easy tips to help you win the school wardrobe battle with your kids and help everyone have a better school morning. What is the best way to get ready in the morning? You think you hate mornings until you have kids. Then you realize that waking up groggy and leisurely getting dressed for work or class while sipping your morning coffee is actually bliss. Now, every morning there is a battle over the “ugly” shirt,”wrong” pants, or sweaters kids “hate”. Clothes are thrown, everyone is yelling, buses are missed, and tears are shed (mostly moms). We fought this battle every day at my house. My daughter wanted to wear her pajamas. All. The. Time. Trying to get kids dressed for school can be stressful for everyone in the house. Stressful mornings often mean tardy students and unhappy parents. 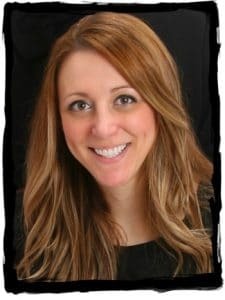 According to this study on the effects of tardiness in elementary school, “students with greater tardiness perform worse on both standardized reading and math tests”. This is reason enough for us parents to do everything we can to get the kids out the door on time. If you have a child who won’t get dressed for school, I want to share some tips to avoid this epic morning wardrobe battle. Living in Happy Place loves to make Mom’s life easier by recommending products through affiliate links on our page! An affiliate means that if you purchase an item from a link I provide, I receive a small compensation at no additional cost to you. If you are struggling through wardrobe fights then you have already tried having your child get his/her outfit at night. This never worked for me because my daughter would wake up and hate the outfit she picked. One of the things that worked for us was options. Instead of picking one outfit, try letting your child pick 2 options for the morning. That way when they wake up and hate the blue shirt, there is a back up ready to go. Does your child have a favorite tee shirt or hoodie? Try having a few different versions of the same shirt (or whatever the favorite article may be) so he/she still gets to wear a CLEAN shirt. For example, if your son is going through a Spiderman phase, let him pick out several different Spiderman shirts. My daughter has a pink striped dress she wants to wear every single day. We compromised by buying her that same dress in the 2 other colors available so I could at least wash the pink one! It sounds like it might get expensive but buying a couple “favorites” might actually add up to saving in the end since you won’t have to buy a bunch of clothes your child refuses to wear. Sometimes you literally have to hide the clothes you don’t want them to wear. Out of sight out of mind. For example, if the weather is going to be colder that day, hide the sundresses and tank tops. Put them in your own closet before you start outfit selection so your child won’t even be tempted. When you have tried everything and there is still a daily fight about outfits, you have to have a backup plan. Spend the time at night prepping other things like lunches, getting coats ready, setting backpacks by the door, etc. That way when you wake up to an episode of Project Runway, you are otherwise prepared and might still get out the door on time. We are currently in love with the new Kidz Bop collection from Crazy8. The line is inspired by their favorite Kidz Bop stars: Matt, Grant, Sela, and Ashlynn. The clothes are versatile and stylish (for kids) and as a mom, I love the quality and how well they stand up to washing (and the wear and tear from tough kids!). *Shopping tip- If you want to avoid a scene in the store over clothing choices, try shopping online. For example, at Crazy8.com, you can browse through the clothes and let your child pick his/her favorites. Complete your purchase online, have everything shipped to your house, and avoid dragging an unwilling kid to the mall. They get to dress like heir favorite Kidz Bop stars (you have to check out the “life of the party” styles- they are superstar cute!) and mom gets great prices. Win for mom, win for kids! Morning wardrobe battle- OVER! Okay well, it’s not magic but following these tips could at least get your kids some cute clothes and you enough time for a cup of coffee. (I didn’t say it would still be hot ;)). Good luck! How do you win the morning wardrobe battle?